Beautiful family home located in the sought-after neighborhood of Carlton Court in Haile Plantation. The home has a large master bedroom/bathroom suite located on the first floor and has a sitting area, walk-in closet, and garden tub. Bright open concept home with 4 bedrooms and 3 bathrooms. 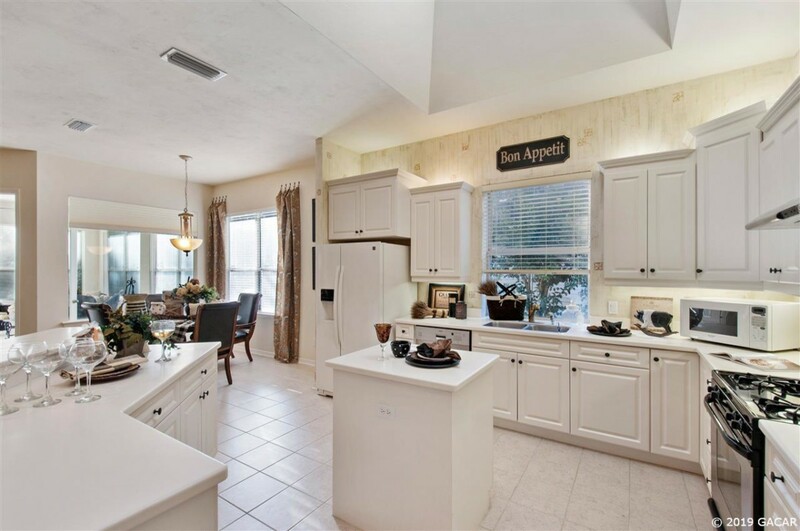 The large kitchen has lots of cabinets and an island. There is a Florida Room that looks out to the back yard. The front yard is maintained by HOA. Enjoy living in Haile Plantation and its many benefits such as trails, weekly farmer's market, local restaurants, and more.